On the eve of quite possibly the most important World Cup match for Bangladesh, cricket weather man looks at the darkening clouds and hoists a warning flag. Bangladesh needs to batten down the hatches and weather this storm. 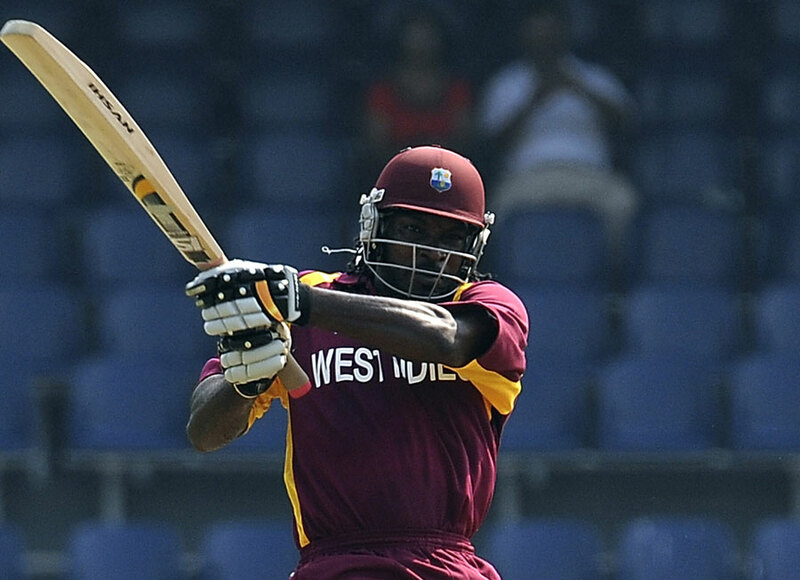 Once a commentator warned that crowds should wear a helmet to come to watch Chris Gayle bat. And he is right. Chris Gayle doesnâ€™t play cricket. He plays baseball. He hits homeruns with hard cricket balls. And with 19 ODI centuries under his belt, he has hit plenty of them.Â Playing for Western Warriors in KFC Big Bash T20 and after dispatching Shahid Afridi for two sixes to the construction zone , the crowd was Â Â booing him for hitting a boundary on the third ball failing to clear the rope. In Tests, he is the fourth man in history to have secured two triple centuries after Sir Donald Bradman, Lara and Sehwag. Â And since he is of the same breed, Bangladesh will have to do well to contain him lest he becomes another Sehwag taking away the game from the hosts before it even starts. His impressive statistics speaks volume. Add to it his newfound resolution to emulate Tendulkarâ€™s 200 innings (that too in the World Cup)- and you got the perfect villain.Â Eyes as cool and calm like that of the vortex, the onus is on the Bangladeshis to spearhead an attack on the Cyclops.Â So what answer do the hosts really have? The seamers have plenty to think about, and Rubel, although lethal with the old ball, lest struggle with his line and length, will only hasten Gayleâ€™s bucket list priorities. Shafiul may have fetched four wickets in the hostâ€™s previous match against Ireland , but itâ€™s Roachâ€™s hat-trick that is the water cooler talk. And since itâ€™s the World Cup where overachieverâ€™s galore, Roach announced to the press about their superiority over the Tigers. Â Setting aside the niggling concerns about his ability to bowl fuller straight on delivery with accuracy that earned him 6/27, Bangladeshi selectors will have to worry on their own pace sensation. While Shafiul has made great strides with slower ball variations, Â Ian Pont has repeatedly given testimony to Nazmulâ€™s hard work ethic along consistent line and length . The board has to decide if Nazmul will be the worth a shot as a substitute for the wayward Rubel . To proceed with a pseudo winning combination, it also calls for Ashrafulâ€™s inclusion whose experience with the ins and outs of Windies bowling attack that he took apart in Johannesburg T20 match with a 20-ball 50 knocking them out of the tournament. Afterall, if allowed to continue his natural game in the sweet slot of #7, Powerplay position, he will be a much better prospect than Mahmudullah, despite failing to dazzle in the Ireland match. Gayle, who made his desire of being the Number 1 Allrounder in 2011 World Cup known, also have 156 wickets in 223 matches and best figures of 5/46 and the right arm offie will be a reasonable threat. Â And for all the die hard fans of Bangladesh, who has by now seen the all too familiar script, of explosive openings, sudden collapse, failure to make opening stands by rotating strikes, then a denoument by not capitalizing on Powerplay posting Â a low total to end, needs to negate each and every abovementioned glitches. Bowlers will have to connect the dots for the bigger picture of miserly economy even if it means drinking mana for inspiration from adversaries ex-player Cameron Cuffy who holds the distinction for being awareded the man of the match in ODI without scoring a run, taking a wicket or getting catches but solely from bowling a tight economy of 10-2-20-0. Before we get carried away with the apotheosis of our supervillain, it is perhaps prudent to bear in mind the great shadow casted may not necessarily be that of a monster but of a small creature under different light. Â Because when the light breaks at dawn on March 4th, with thousands of spectators streaming in the Mirpur stadium for another electrifying day and night event and already having got a taste of the prey, mass consciousness will take over where anything can happen. This page has been viewed 5350 times.